Nushka’s Spa has a team of professionals with experience in health and beauty and they all take pride in making their clients feel de-stress, and beautiful. The focus of Nushka’s Spa is to serve you while you rest, cleanse, and heal your body in a relaxing atmosphere. At Nushka’s Spa you can enjoy a clean air environment while you cleanse and nourish yourself from head to toe. You are invited to an intimate personal European Spa experience. Our menu includes European skin care with world renowned French products by Katherine Atzen and Eminence Organics, body wraps with muds from Spain, face and body waxing, stone massage, natural manicures and thorough exfoliating spa pedicures. Please join us in celebrating the health and care of your wellbeing at Nushka’s Spa. 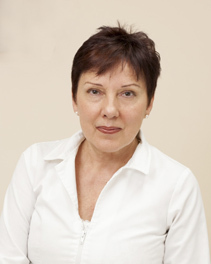 Nushka has been a licensed cosmetician and esthetician since 1988. After 10 successful years operating her own salon and spa in Europe, she moved to the U.S., where she continues the art of skincare using the finest European techniques and cosmetic formulas. Nushka believes a good complexion should not be considered a luxury, but a necessity, and she takes a clinical approach to achieving beautiful skin by analyzing, repairing and nurturing the skin to ensure it is healthy and vibrant, both now and in the long-term. Nushka earned her Cosmetique / Aesthetician Diploma in Europe in 1988, and is fully certified to operate in the state of Oregon.